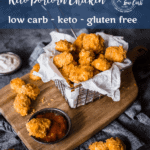 Not only is this Keto Popcorn Chicken low in carbs, but it is also gluten free, making it the perfect healthy treat while still feeling indulgent. 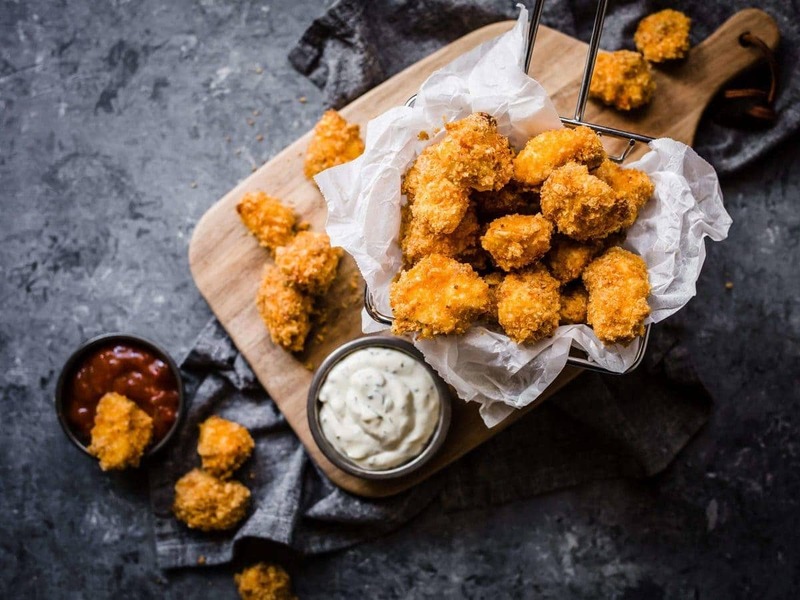 Are the best popcorn chicken recipes made with popcorn? 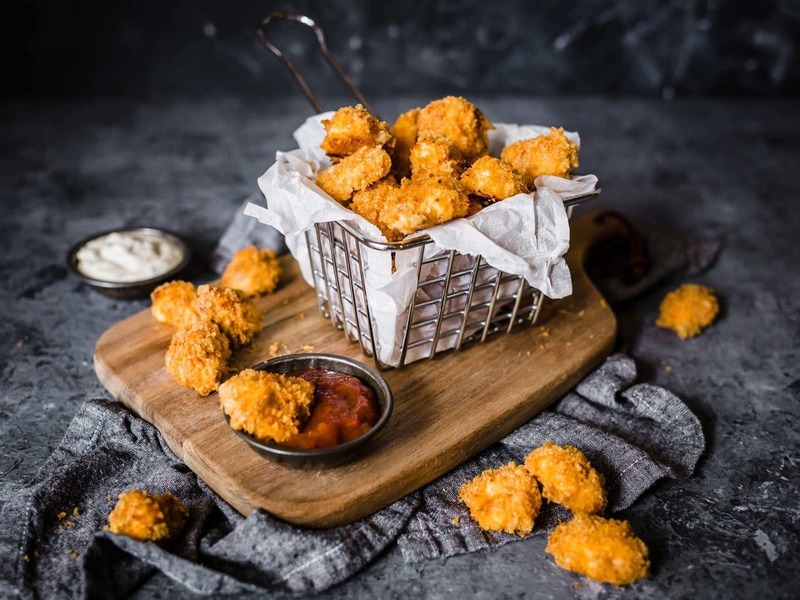 No, in fact, popcorn chicken doesn’t contain popcorn at all. 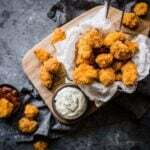 It got its name because the breaded chicken pieces are bite sized like popcorn. 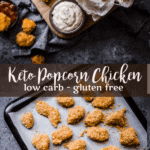 Most fast food pop corn chicken is full of gluten and is cooked in unhealthy oils in a deep frier. 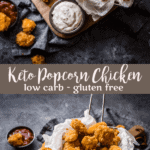 But this keto popcorn chicken variation is not only low carb, but it is also gluten free. 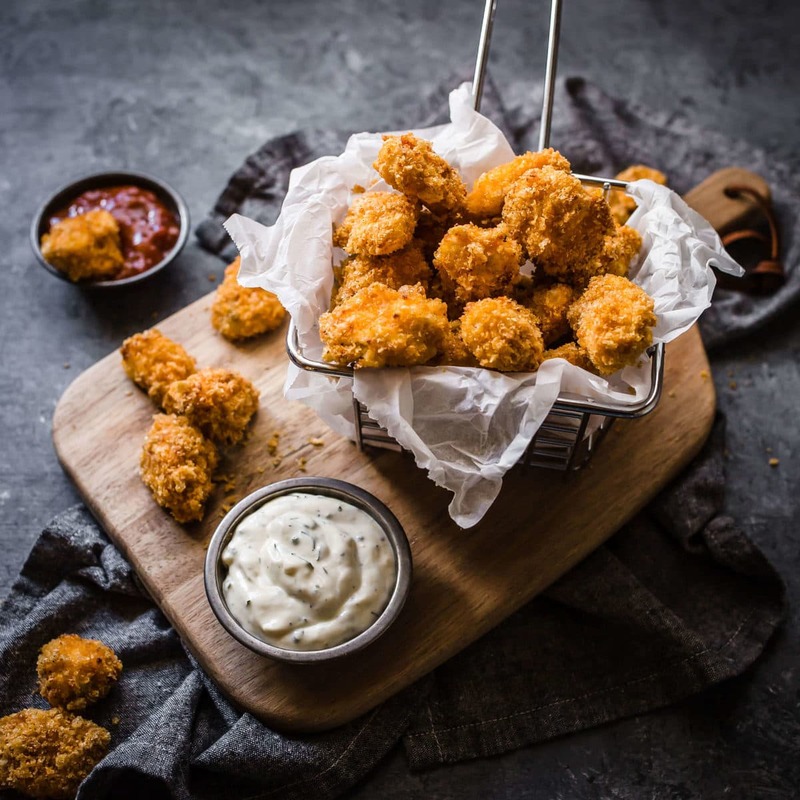 The keto breading in this recipe is also nut free. 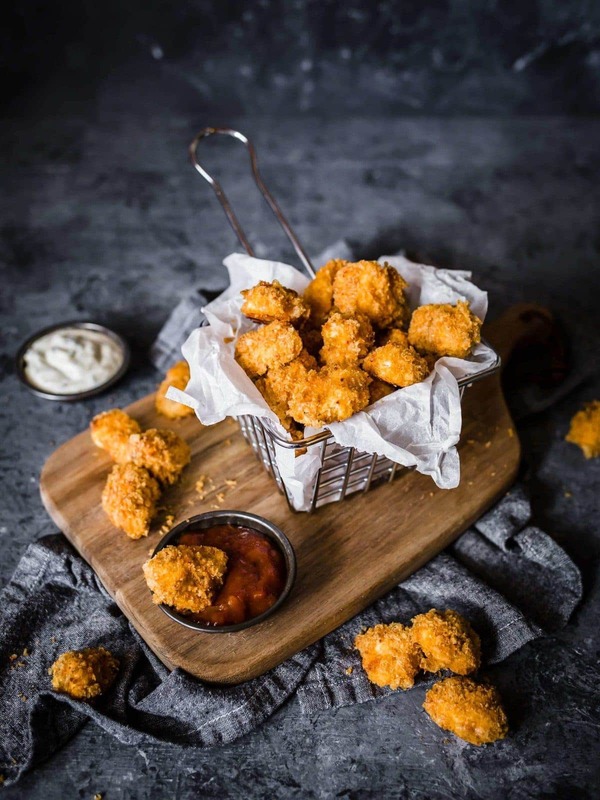 It gets its crunchy texture and golden brown color by using a mixture of coconut flour and crushed pork rinds. 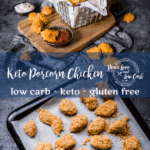 What should I serve this low carb popcorn chicken with? 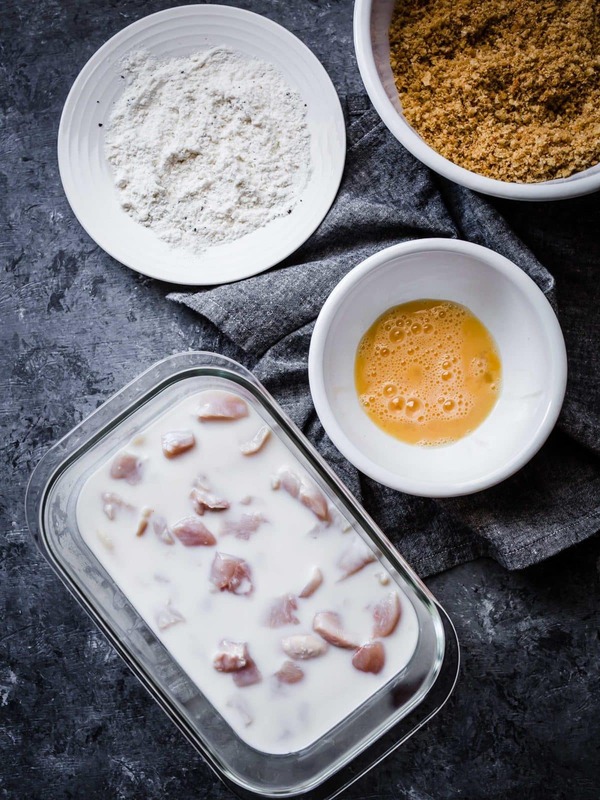 Please plan ahead for this recipe to accommodate for the 24 hours of refrigeration time. 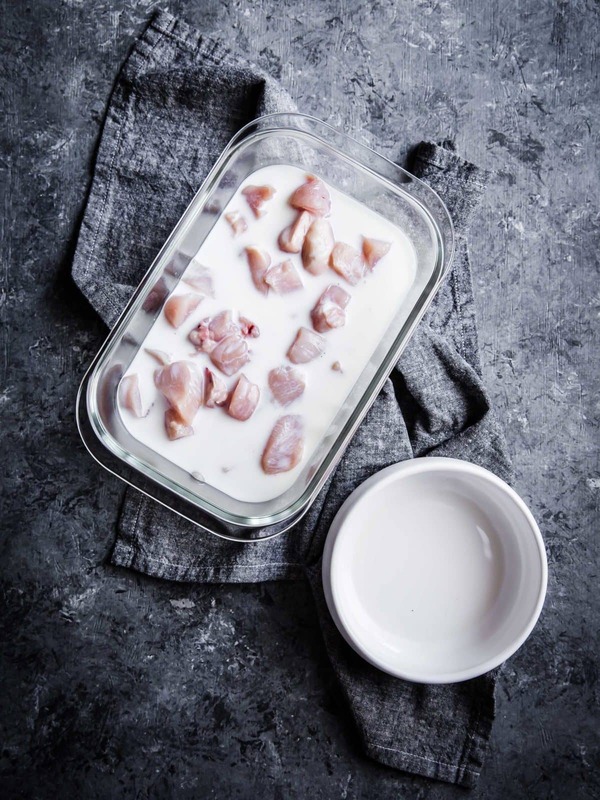 Put the cut up chicken in a bowl, pour the buttermilk over it, cover and refrigerate for 24 hours. Preheat the oven to 425°F. 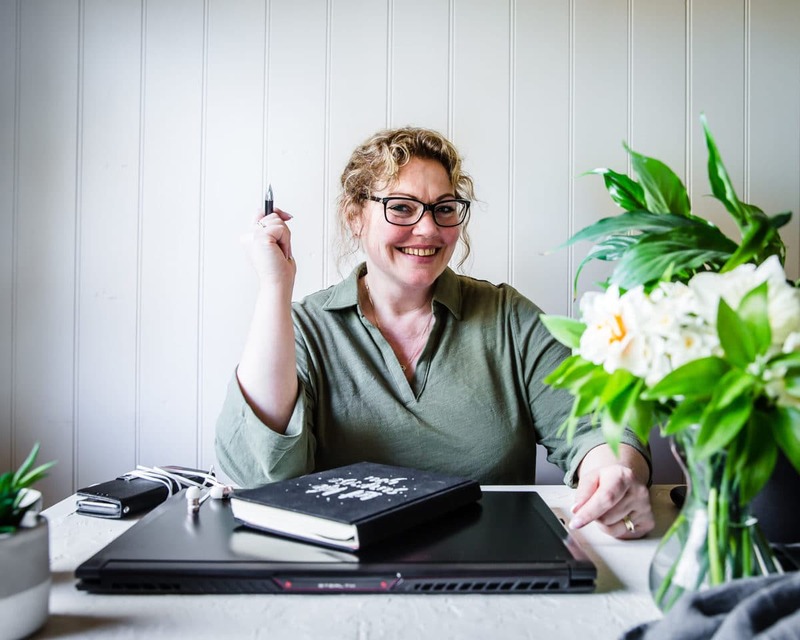 Line a rimmed baking sheet with parchment paper or a silicone baking mat. Set up three shallow bowls. 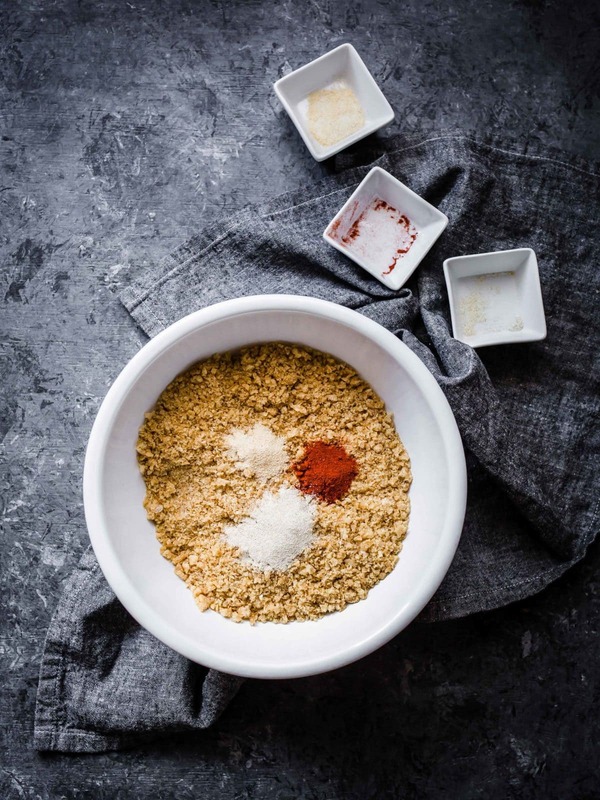 In the first bowl, combine the coconut flour, salt, and pepper. Crack the egg into the second bowl and fork whisk. In the third bowl, mix together the pork rinds, garlic powder, onion powder, and paprika. 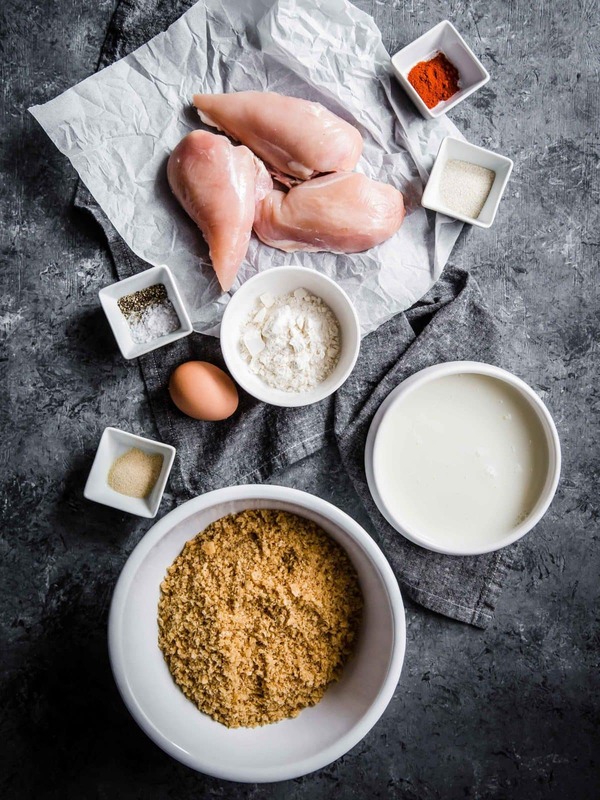 Follow this three step process with each piece of chicken: Dredge in coconut flour, coat in egg wash, and then coat in the pork rind breading. 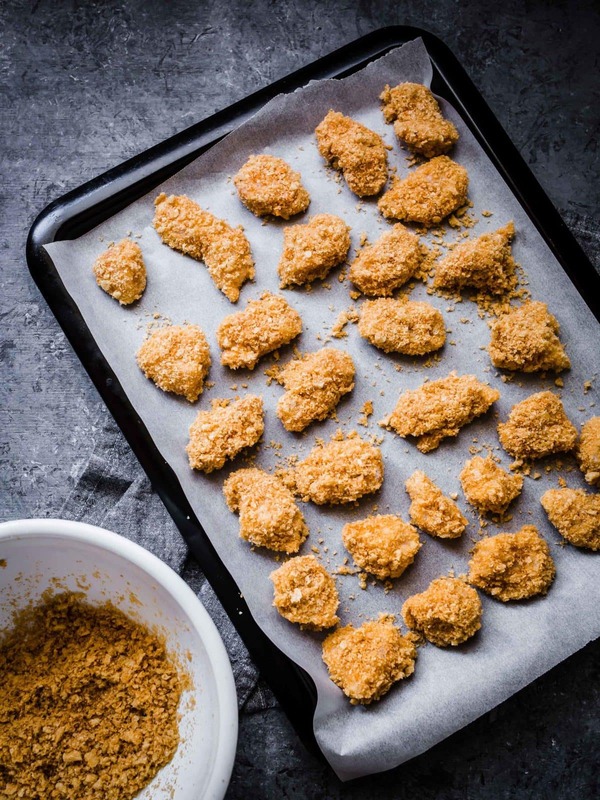 Line each breaded piece in a single layer across the prepared baking sheet. I want to try this one too. Thank you so much. Is there something else that can be used in place of the pork rinds? I’d love to know a substitute for pork rinds too. 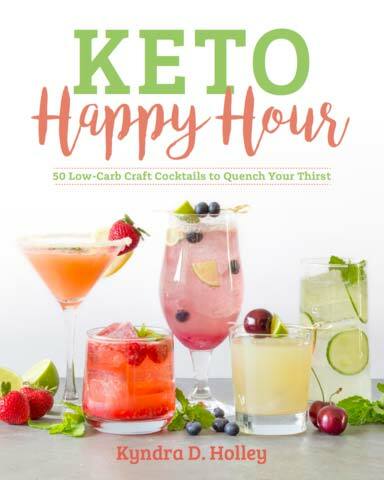 I don’t like the taste of pork rinds so I skip recipes that require them…..but if I could find a sub, there are a lot of great sounding recipes that I would try! Looks great, can’t wait to try. Also going to try seasoning the coconut flour for added flavor. Thanks! 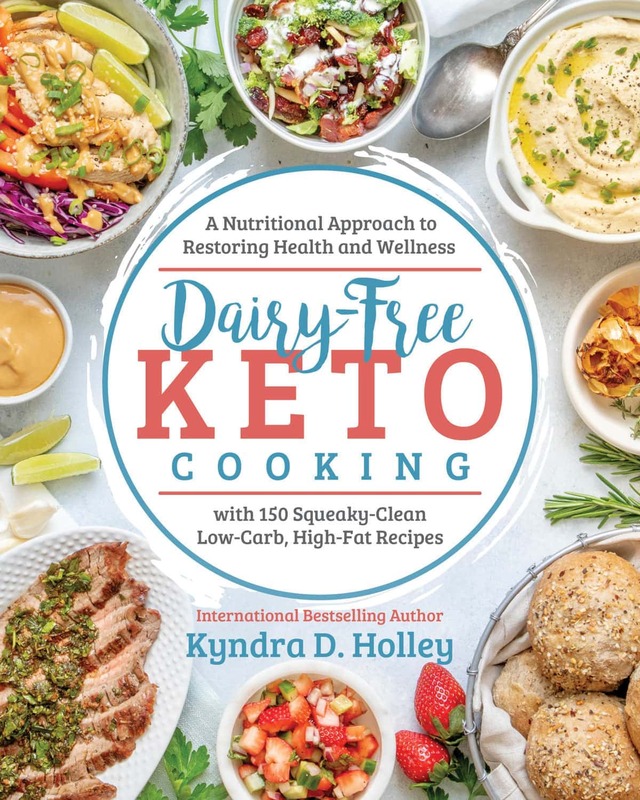 Do you think you can do the same process and put them in a deep fryer? Or do you think the breading will come off? 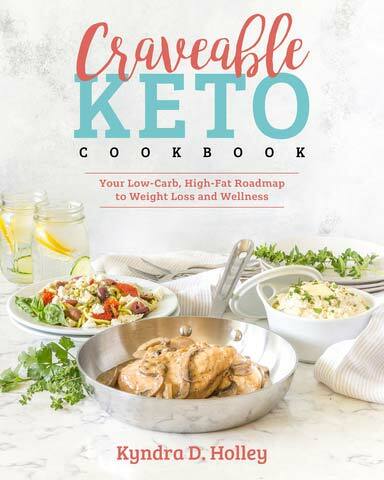 Is there a keto replacement for buttermilk!? 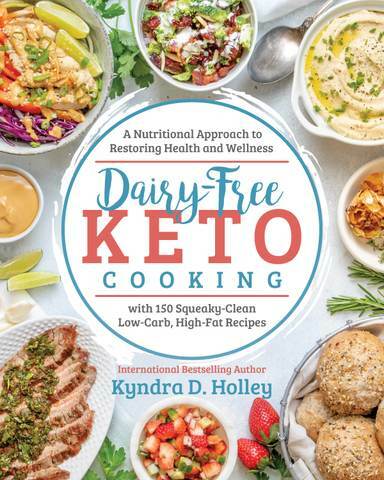 Maybe adding lemon juice or vinegar to heavy cream or almond milk! These sound so goo! Have made these twice now- delicious! Second batch prep was less messy as I used plastic bags and the good old “”shake and bake” method for coating. I made this last night and it was glorious.. I was worried at first that the pork rinds would “overcook” in the oven before the meat did, but after careful watching, it didn’t. My oven runs a little hot, so 20 minutes would’ve been too long, I took them out at about 16 minutes, and they were perfectly crispy. I did not flip them either. After taking them out of the oven, I waited 5 minutes and took them off the parchment paper and put them onto a cooling rack. I only had boneless, skinless chicken thigh on hand and it was fine. 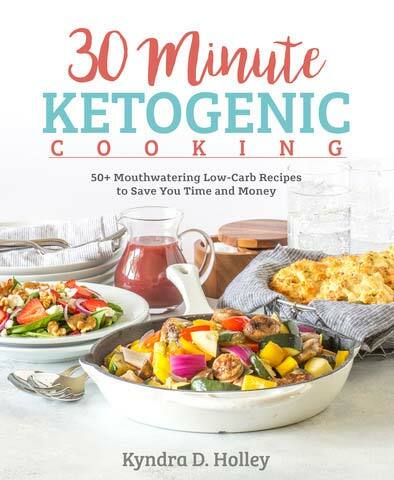 Also, I’m not a fan of coconut flour so I substituted for the exact same amount of almond flour (or almond meal – keto approved). 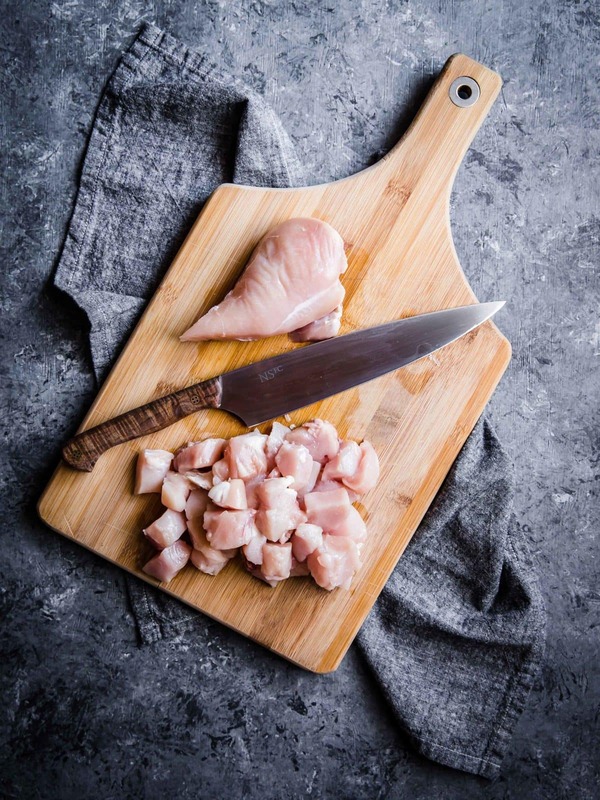 DO NOT SKIP marinating your chicken overnight in the buttermilk.. the chicken came out so tender and juicy, it was melt in your mouth – coupled with the crunch from the pork rinds – A HEAVENLY COMBINATION! It did take some time to prepare all the pieces of chicken, but as a previous reviewer mentioned – well worth it (I did not use the bag method, opted for the 3 shallow bowls). Will definitely be making again.